Kyle Eidsness solves complex problems and works to minimize legal risks for clients of all sizes. He represents and counsels businesses, their owners, and HR professionals in a wide variety of commercial, contract, and employment matters, and devotes a significant portion of his practice to protecting their interests in litigation. Kyle's broad litigation experience includes prosecuting and defending employment contracts, real estate, shareholder, and construction disputes, defending claims of legal and professional malpractice, and defending claims of FMLA, ADA and MHRA violations. Additionally, Kyle devotes a part of his practice to life, health and disability litigation, both ERISA and non-ERISA. Prior to joining Hinshaw & Culbertson LLP, Kyle litigated business and commercial disputes with the Minneapolis office of a national litigation firm. He began his legal career as a law clerk for the Honorable James T. Swenson, Chief Judge of Hennepin County District Court, in Minneapolis, Minnesota. 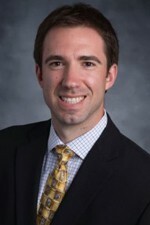 Prior to his legal career, Kyle worked as a scientist in a medical device laboratory at the University of Minnesota Medical School, and spent a ski season living in Colorado. Kyle enjoys spending time with his wife and kids, fishing in the region's many lakes and rivers, and teeing it up on the local golf courses. Kyle is also an avid baseball fan, following the Minnesota Twins and minor league baseball.